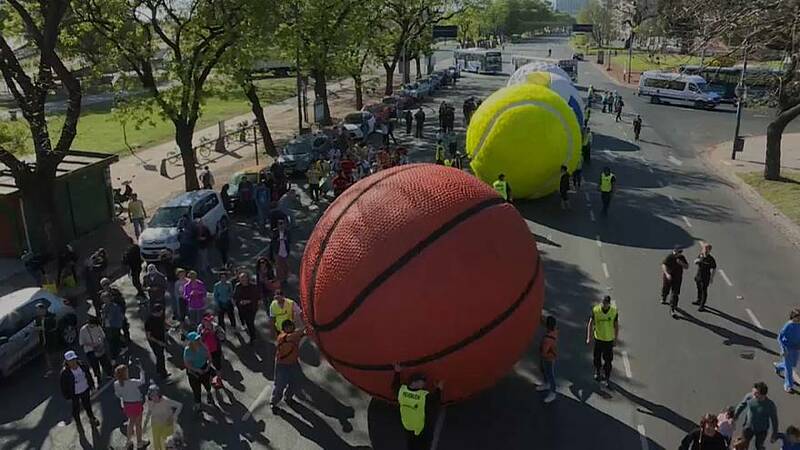 The week kicked off with five giant sports balls being rolled around a park in Buenos Aires marking the start of the Youth Olympic Games. In Australia, rescuers rushed to save a whale calf that was caught in a shark net on Tuesday. Local media said it took almost two hours to untangle the calf as two adult whales, one believed to be the calf's mother, stayed nearby. And from space, NASA captured images of a vast swirl of churning clouds as Hurricane Michael took aim on the Florida panhandle on Wednesday. On the ground, the destruction was clear as buildings were knocked onto their sides. The hurricane was one of the most powerful ever to hit the US mainland, with winds speeds exceeding 150 miles per hour. More than 2.1 million residents of at least 20 Florida counties were under mandatory or voluntary evacuation orders.